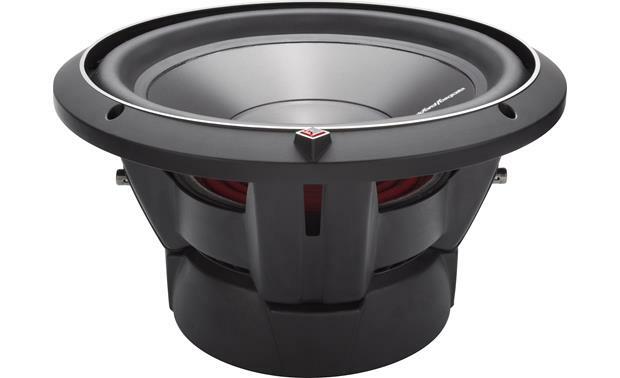 Rockford Fosgate designed the P3D4-12 12" subwoofer to stay strong even when the bass gets hot. This Punch P3 sub features a rigid anodized aluminum cone that holds its shape through heavy play, while staying light and responsive. 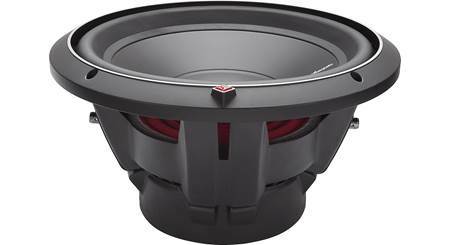 Rockford Fosgate uses a new technique to attach the oversized rubber surround to the cone that increases available cone area up to 25%, so this sub can push more air for even bigger bass. The dual 4-ohm voice coils allow you to wire the sub for 2-ohm impedance to get maximum power output, or for 8-ohm impedance if you're using multiple subs. The P3D4-12 sub works equally well in a sealed or ported enclosure, so you can choose the kind of bass you want for your system. Wow these really numb!! I installed these in my 2017 Jeep Wrangler Unlimited hard top with ported boxed and 600 watt kicker amp wired at 2 ohms. I had to purchase remote bass controls due to it being sooo because it felt my ear drums vibrate. These subs are AMAZING!! How well will this hold up in a jeep wrangler with no top? 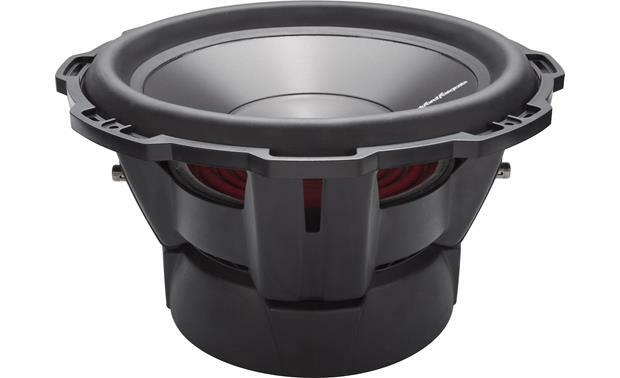 Overview: The Rockford Fosgate Punch P3D4-12 is a 12-inch subwoofer with dual 4Ω voice coils. 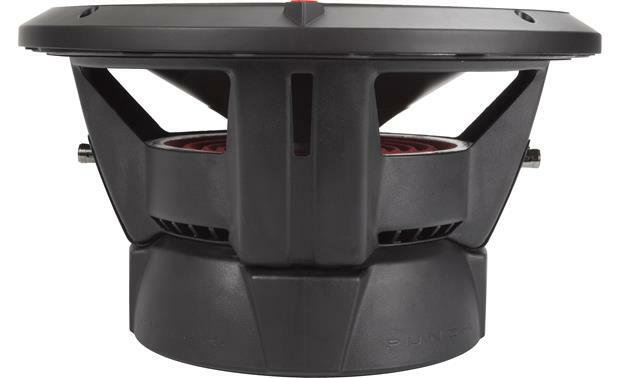 The sub features a hybrid StampCast basket, quick-release compression terminals, anodized aluminum cone, and Santoprene surround. 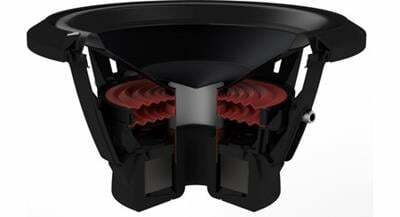 An anodized aluminum voice coil former and spider venting help keep the subwoofer cool. Dual 4Ω Voice Coils: The dual 4Ω voice coils offer wiring flexibility; when wired in parallel the woofer presents a 2Ω load, when wired in series the woofer presents an 8Ω load. Compression Terminals: The P3D4-12 features spring post terminals which accommodate speaker wire up to 10 gauge. CEA-2031 Compliant: Power handling on the P3D4-12 subwoofer conforms to CEA-2031 industry standards. 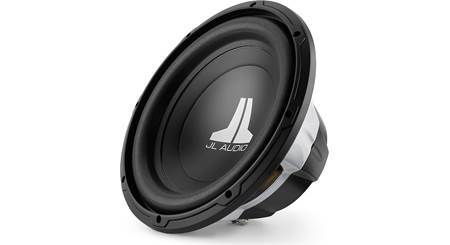 This means the subwoofer has the capacity to handle power under continuous demand, not instantaneous power handling, that over time, can damage voice coils. Trim Ring: To improve the cosmetic look, a decorative trim ring is included that mounts over the flange of the woofer. 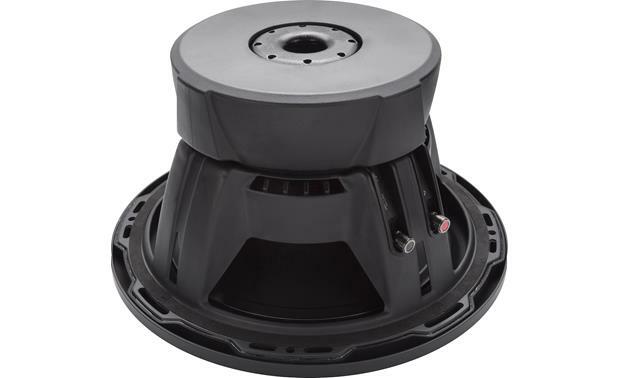 When using the cast aluminum trim ring the woofer is first mounted with four screws, then the ring is placed on top of the woofer, aligning the final four holes of the woofer with ring. The other four screws are used for these holes to mount the ring and woofer to the enclosure. Without the trim ring the mounting height of the woofer is just under 7/8 of an inch, with the trim ring it's approximately 1-1/16 inches. The diameter of the trim ring is 13-5/16 inches. Sealed Box: Rockford recommends a sealed enclosure with an optimum internal volume of 1.02 cubic feet (from 0.75 to 1.25 cubic feet is acceptable). Sealed enclosures provide the most control over a woofer, will handle a lot of power, and provide accurate sonic reproduction, making them suitable to all types of music. Ported Box: Rockford recommends a ported enclosure with an internal volume of 1.79 cubic feet using one 4" diameter x 10" long port; this yields a tuning frequency of 40 Hz. Ported (or vented) enclosures typically provide better overall efficiency than sealed so they are suitable for use with smaller amplifiers, giving you more bass output from less power. However, this efficiency comes at the expense of very low frequency output (below 33 Hz). anyone know the cutout crutchfield says 11 1/16 owners manual says 11.25? Thanks for your question! Because we have our own in-house Product Research team here who measure product dimensions and specs, it's not uncommon to see slight differences between our measurement and the manufacturer's. Our product researchers determined that 11-1/16" is the most accurate cutout diameter required for the Rockford P3D4-12 sub; whereas Rockford likely suggests 11-1/4" in the owner's manual for slightly more "wiggle" room. For more details or to discuss further, please contact an Advisor directly by phone (888.955.6000) or online chat. What is the maximum outside diameter of this sub w/o the trim ring? The frame diameter is 13.095". What size amp will i need for a P3 12? Oops sorry, need to clarify on my last answer! I actually have the R1200-1D, but I believe the CX1200.1 may work as well! I would recommend the Kicker CX1200.1. 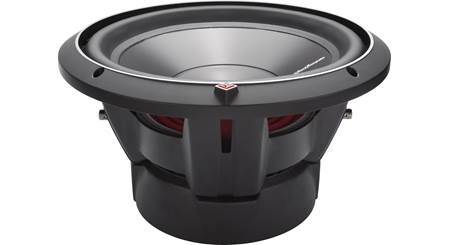 I currently have this for two P3D4-12's and it matches their RMS exactly, and if you only have one sub you can wire it to 4 ohms instead of 2 and it will still be perfect for that one sub, and in the future if you get a second you can wire them both to 2 ohms and it will be perfect. What's the mounting depth of this speaker? what size box will I need to handle two p3d4 12? It wont hit as as hard but it still hits. How deep is this sub? How deep will the box need to be? I have mine mounted in a 1 foot cubed box and its tight but fits. Clay in most cases with that amount of wattage you will not need an extra battery. Once you have finished your install, check the voltage. With a good alternator and battery it should be just fine. With two of these ran in parallel to a mono amp, can the subs handle running at 1 ohm? Yes, two 4ohm DVC subs can be wired to either 1ohm OR 4ohms. I have a pair of p3d412's and I would like to replace the santoprene surround is this possible and if so where would I obtain these surrounds? Thank you for your attention in this matter. You will want to contact Rockford directly to discuss replacement of the surround. You can reach their customer Customer Service line at 1-800-669-9899. What would the difference in sound / performance be between a 1 cubic foot sealed and a 1.5 cubic foot ported box? Use the larger box so the bass has room to travel. The box I have is quite big. It takes up nearly the whole trunk. Works great. Ported boxes usually give off more fluttering bass sound versus a sealed box is a more direct hit. 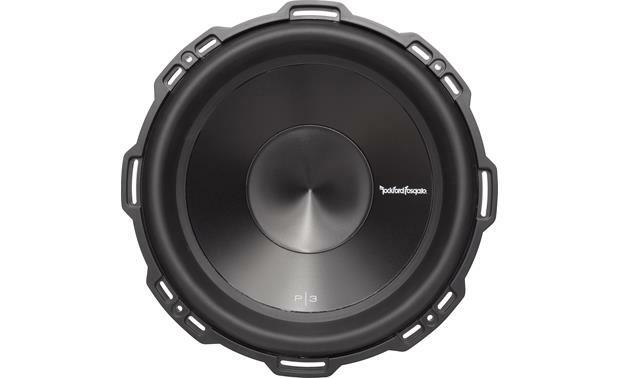 whats makes the rockford fosgate p3d4 15 any better than my rockford fosgate hx2 d4 12? when as far as i can tell it only has 100 watts more. just asking cause im thinking about upgrading to the 15 if it is worth it? I have a sony 800 watt amp.. what would be a better amp? Would a p1000-1bd be good to power 2 p3 subs and would it sound good? That amp would be a good match for 2 of these subs, and will supply an impressive amount of bass. I am looking to use this amp to power two P3-12 subs and four 6X8 speakers... Does it have enough power for the subs? Thanks for your question. It looks like the amp would be a good match for the main speakers, but not such a great match for the subwoofer. I would recommend reaching out to an Advisor by phone or online chat. They will be able to help you make the best choice for your system and your budget. 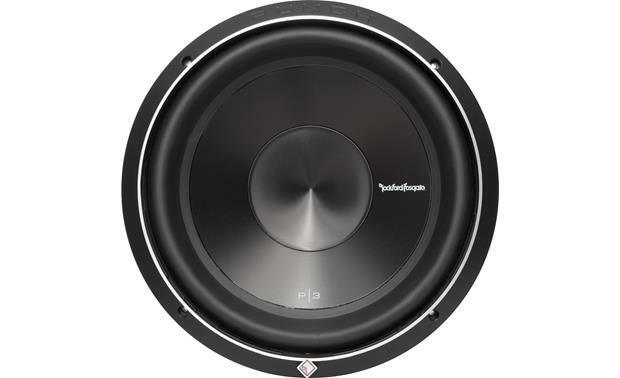 Searches related to the Rockford Fosgate P3D4-12 Punch P3 12" subwoofer with dual 4-ohm voice coils.